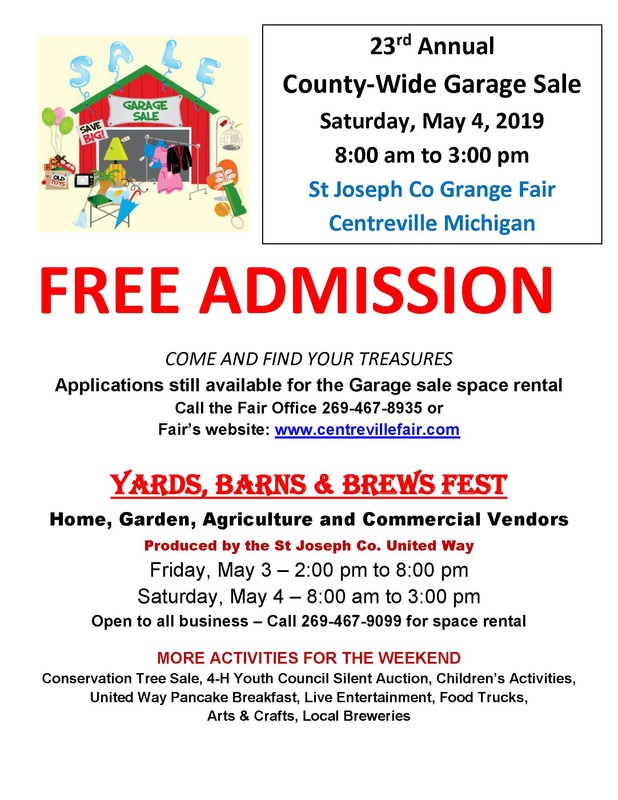 The St. Joseph County Grange Fair Association is dedicated to promoting agricultural education for youth and adults. 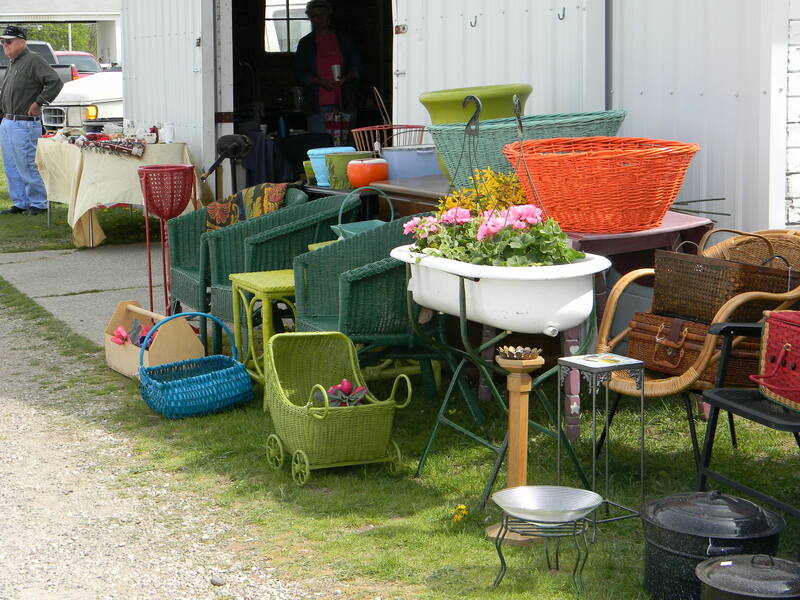 It provides a gathering place for all communities to come and showcase their products and skills that they have learned. This gives the opportunity to promote agricultural traditions for our County and surrounding areas. 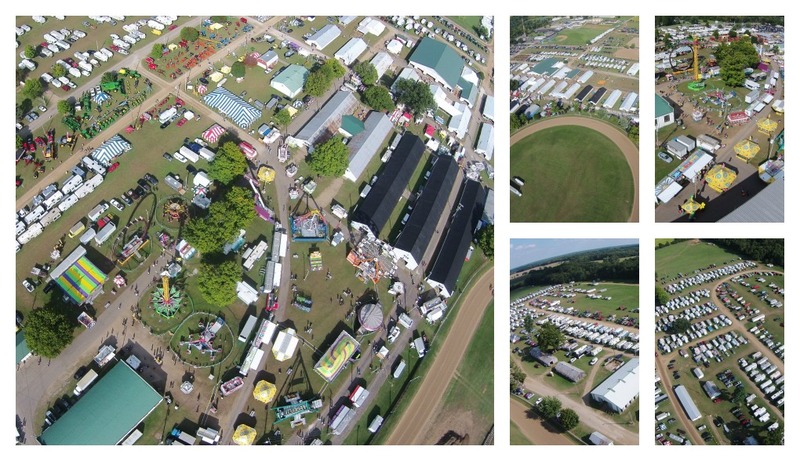 The Fairgrounds also provides facilities to serve the community by providing multi-purpose locations for public and private events in a reasonable manner. 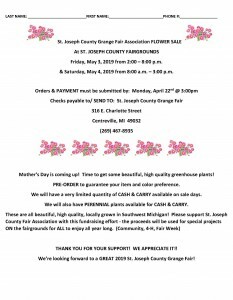 Friday, May 3, 2019- 2 p.m. – 8 p.m.
Saturday, May 4, 2019- 8 a.m. to 3 p.m.
Pre-orders are encouraged. 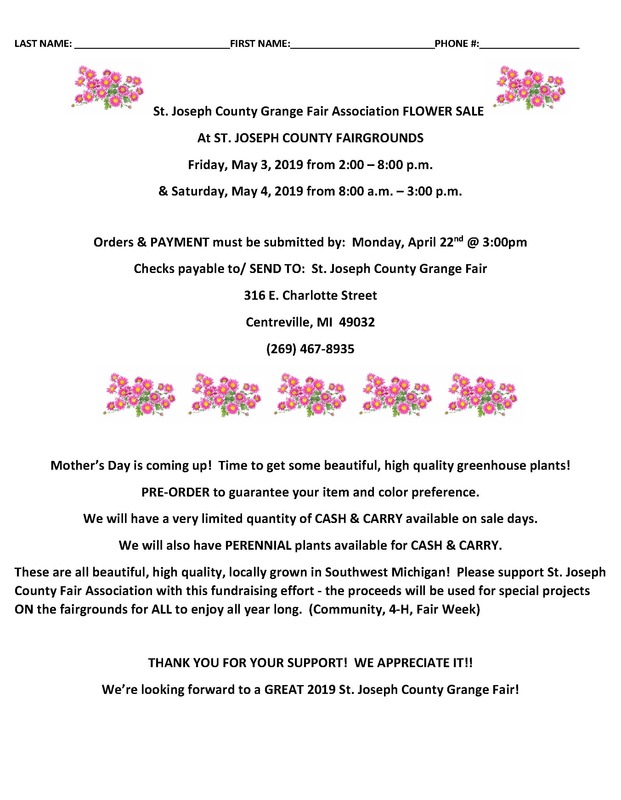 To pre-order flowers, please order from a Fair Association Member or call of the Fair Office. 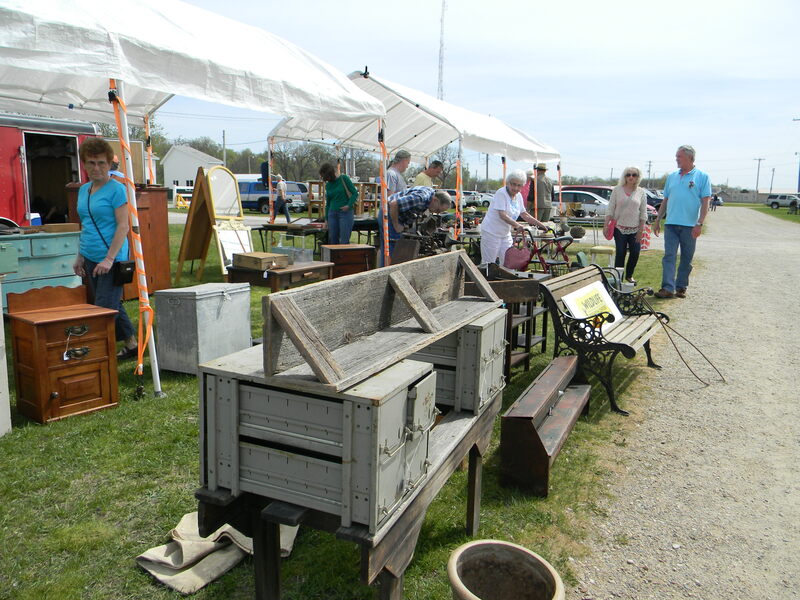 Click here for the 23rd Annual County Wide Garage Sale Application. Welcome to the Centreville Fair website. 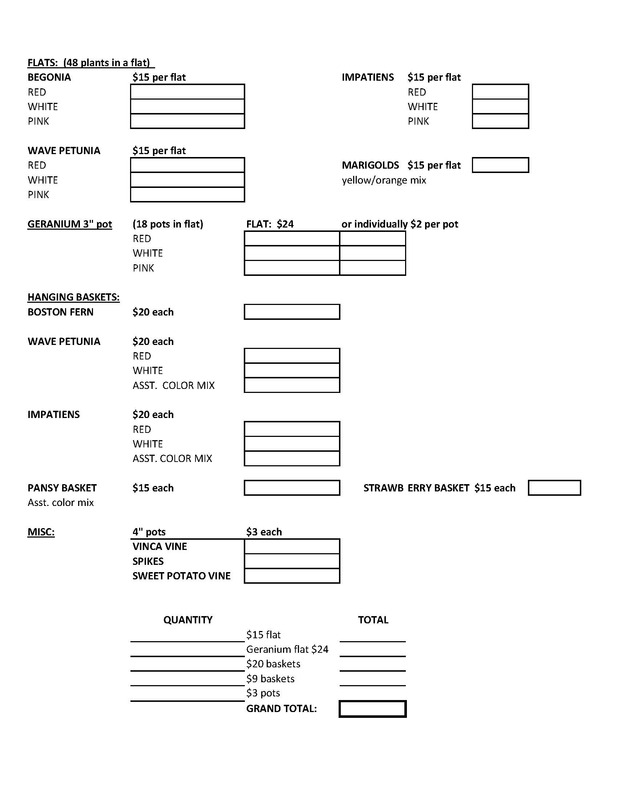 We will be updating the Centreville Fair site with new events throughout the year, not just for the Centreville Fair. 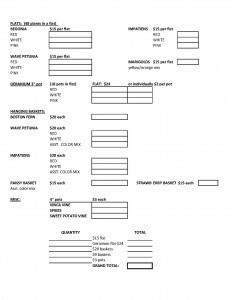 You can check out what the Centreville Fair has scheduled so far by going to the Centreville Fair Events page. 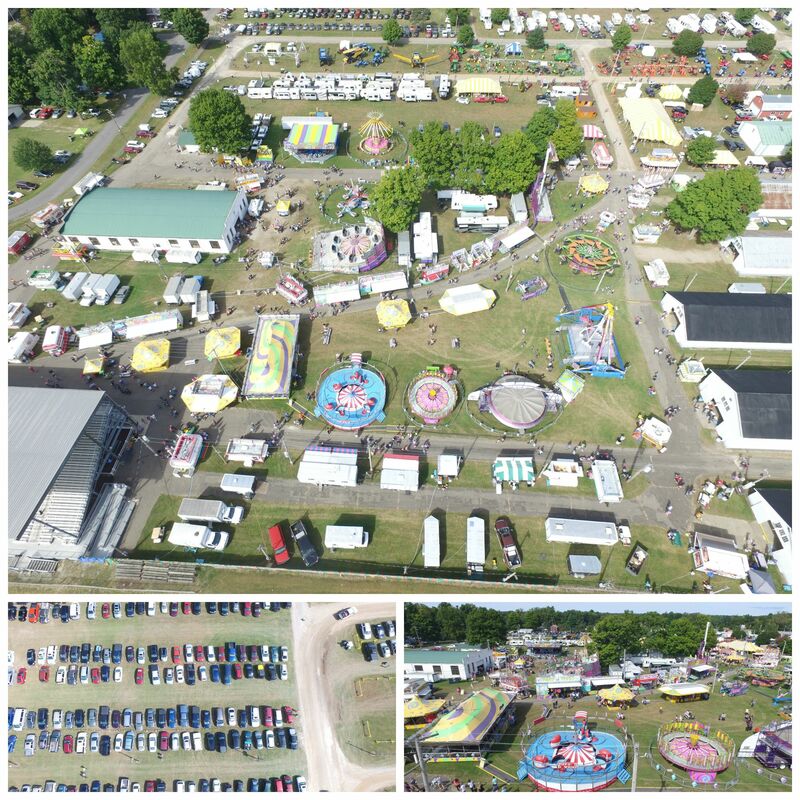 If you would like to contact the Centreville Fair office please feel free to call or use the Centreville Fair Contact Page.